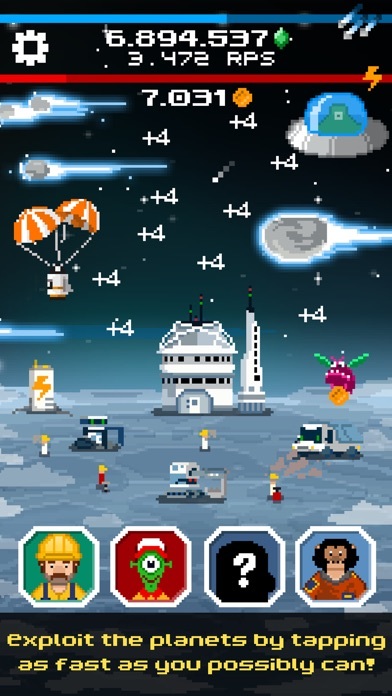 TAP GALAXY is a space mining incremental clicker game where you mine exotic planets, moons, asteroids, and comets for resources that help you colonize galaxies and build your Galactic Empire! 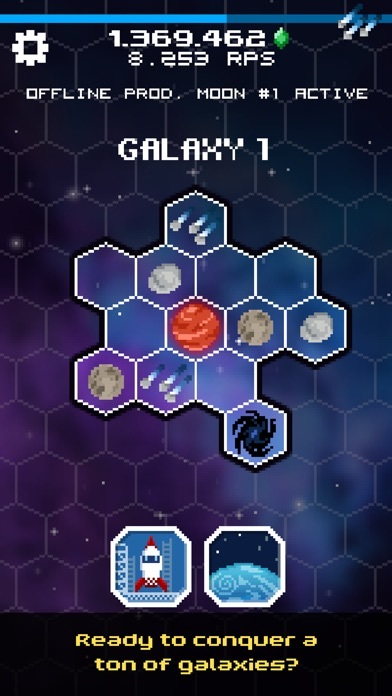 The game starts on a small, moon-like planet that you can tap on to collect resources. You can then spend what you've found on new miners, machines and boosts– and that's just the beginning! 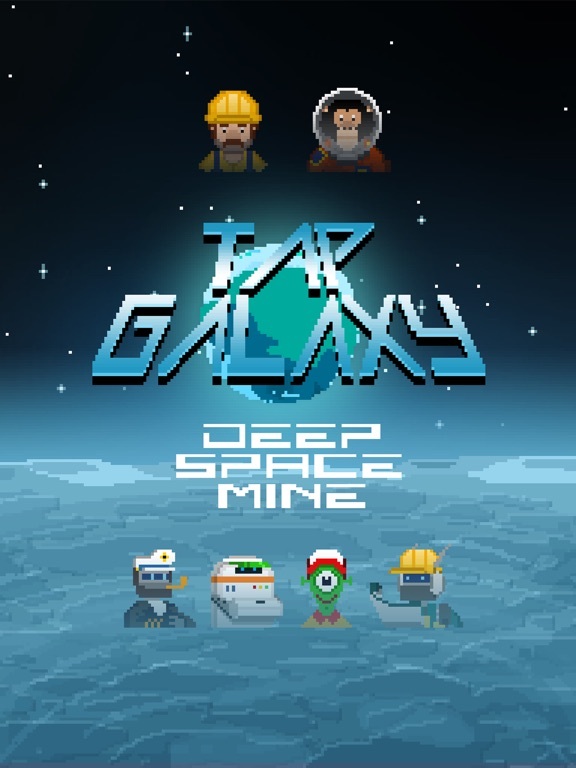 With the help of Colonel Flint (who's much more than an ordinary chimpanzee), you can explore your Galaxy and search for new resources to mine! 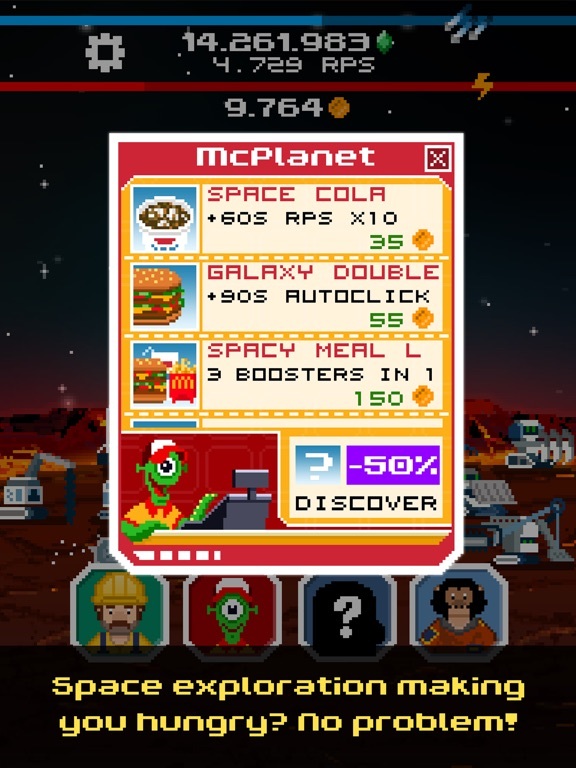 Reach the farthest corners of the universe by buying space probes and leveling them up. The galaxy is yours to explore! But wait, there's more! 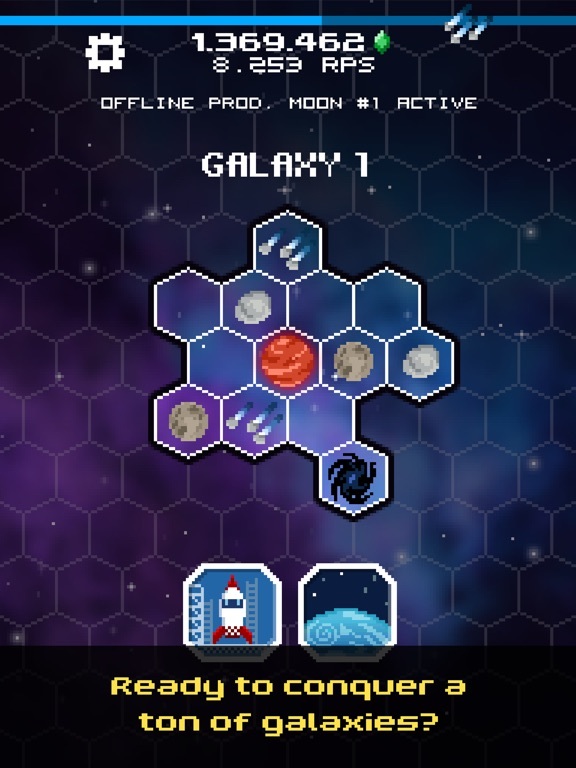 Wormholes will let you move from galaxy to galaxy where you will discover uncharted planets and resource rich moons! Who knows, maybe one day you will be able to conquer Trappist-1! But be careful! The universe holds ugly surprises as well. 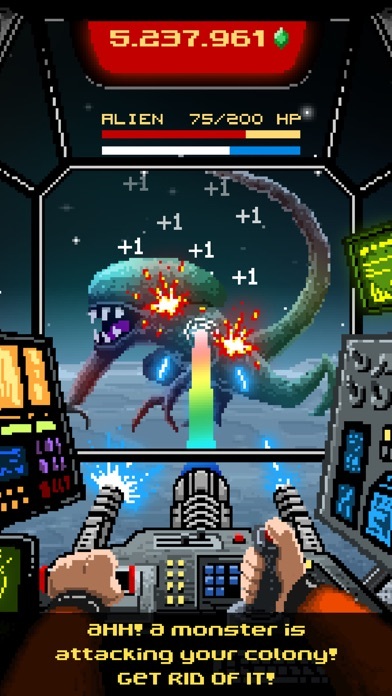 You will have to defend your ground from terrible aliens. 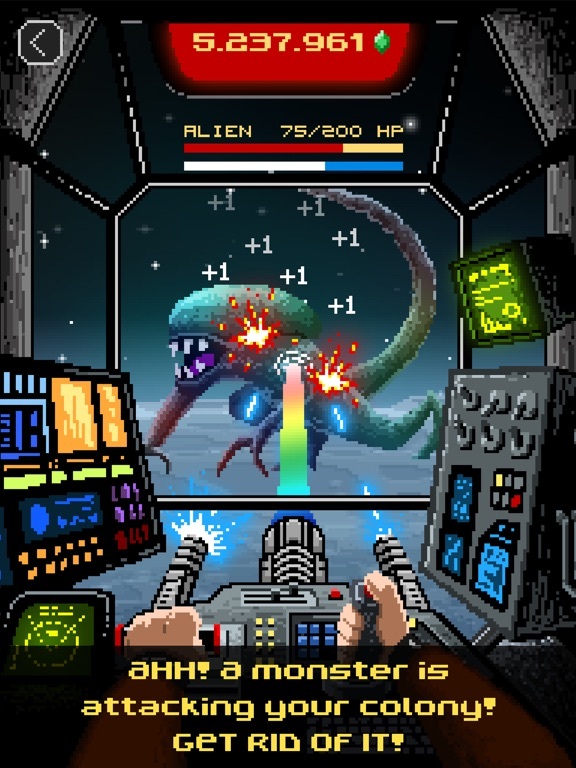 Don't let them stop you on your intergalactic quest! Start mining now to grow your Main Colony... turn it into the largest in the universe! The potential is endless! Have fun with the new 3D touch feature which lets you enhance the power of your laser beam in battle mode! 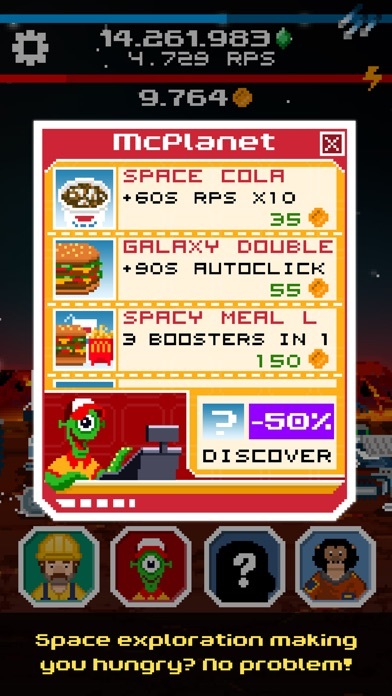 Big fan of Tap Galaxy? Now you can download stickers for iMessage for free! Please send us any feedback you have! We really appreciate it! I'm Simone from redBit games and I'm very proud to announce that TapGalaxy game will receive a very big update out in 3 weeks. We changed a lot of stuff: now we've got a fantastic animated pixel art intro, we've got new gameplay features (with 3D touch), we've got monsters, we've got bosses, and so on. The game is a clicker game so if you're not interested in this genre maybe you won't be interested in it. For toucharcade forums users we decided to make you try everything prior of the release date if you want. 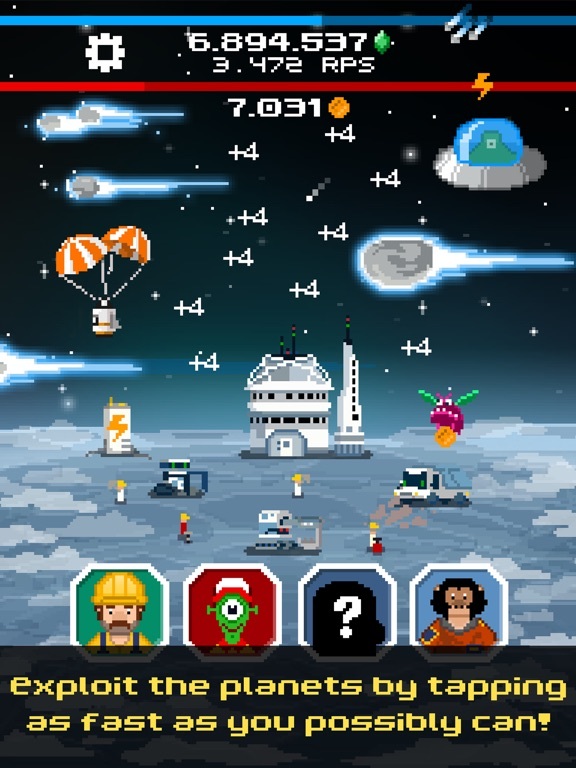 If you give me your testflight I'll be happy to invite you to try the game as an external tester. And of course we will take every feedback you give us into serious consideration. Here is the new trailer for the game, check it out! 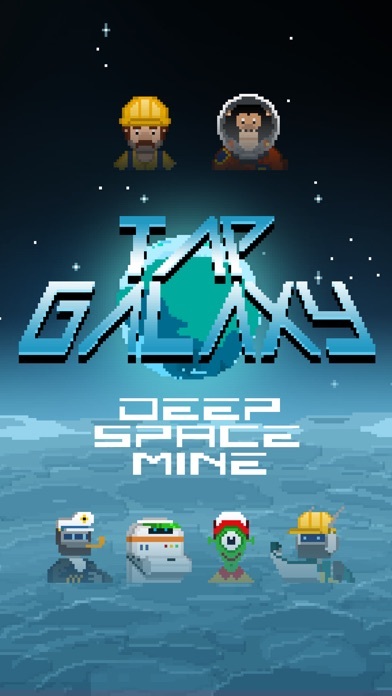 Did everyone received their invitation for Tap Galaxy beta testing? I added all of you. Let me know what do you think of the game now and if you have any question feel free to ask. Anyway, the game is finally OUT IN THE STORE! So just download it and leave a good review (if you liked it). It's really a great effort for us to bring a totally new clicker game with brand new mechanic and features, we're really believing in this project and we will work a lot more on the game in the future. I really like the new update. Haha, sorry just messaged you to try the update and then read the rest of the posts. Hello. I think it's a bug. But maybe I need to wait until next update will release. Can not move to the next galaxy. Unfortunately this is a bug in our translation system. You're at the last galaxy there is no galaxy beyond that and the game should tell you: "Wait for the next update" but it's saying something different. We will correct it ASAP, thanks for pointing it to my attention.